Before finding the right source of finance and funding it is of high importance to find the right partner to work with in the targeted region. This is why ARE has created a new tool called ‘ARE Off-Grid Matchmaking Platform’ for research and identification of business partners. As shown on the atlas, we are proud to say that ARE members’ lessons learnt and best practices cover almost all regions in the developing world. Before finding the right source and partner for finance and funding it is of high importance to find the right partner to work with in the region of focus. This is why ARE has created a new tool called ‘ARE Off-Grid Matchmaking Platform’ for research and identification business partners. As shown on the atlas, we are proud to say that ARE members’ lessons learnt and best practices cover almost all regions in the developing world. Thanks to the kind sponsoring of Mobisol, the Alliance could launch its new ARE website at the ARE-RECP Off-Grid Investment Forum to better showcase available solutions by ARE members and inform about the value adding ARE services available for its members and partners as well as for stakeholders with a keen interest to engage pro-actively in access to energy. With the strong will to further improve, we welcome your reactions and feedback on the new website. We are also more than delighted to see that the Forum in Amsterdam on 12-13 April 2016 attracted such high attention, with participant rates far exceeding our expectations. In this regard, I wish to thank all partners and persons who have contributed to the great success. Highlights of the week were the key note speech by Rachel Kyte, CEO of SE4All and Special Representative of the UN Secretary-General and the introductory statements by key players in the sector including the announcement of the Call for Proposals for ElectriFI and last but not least, the 1st ARE Awards at the ARE 10th Anniversary Reception. Please find out more in the newsletter! In the belief that matchmaking and building trustful partnership and business relations are important for the market to grow, the news section on our new website provides further information on the AEEP Energy Access Workstream led by ARE and joint activities with RECP who with its new Finance Facilitator will bring in professional support for all players looking for funding and financing. The Alliance is a membership-fee based organisation and welcomes more companies to support us and join us in our efforts to achieve SE4All objectives. Since the last edition of the ARE newsletter in February, we are happy to welcome seven new members. Access to Energy, how to unlock huge potential of many young, new, innovative models that have the potential to bring reliable, clean and affordable energy to the many that are not connected yet. The European Commission and the European Development Finance Institutions are trying a new route. They call it the Electrification Financing Initiative, ElectriFI. Affordable and Clean Energy is number seven of the Sustainable Development Goals. It is also of crucial input into most of the other 16 SDGs. Just more funding is not the solution. Many concerted efforts from public and private parties will be required, where development funding can provide part of the answers. What ElectriFI is setting out to do is an efficient use of the scarce development funding. By aiming for private sector, commercially run initiatives, ElectriFI supports those parties that have provided energy solutions in a financially sustainable way, with potential to scale much beyond the ElectriFI funding. The initiative was conceived by the European Commission in collaboration with partners and representatives from the private sector and development financiers. ElectriFI was launched by the European Commissioner for International Cooperation and Development, Mr Neven Mimica, at COP21 in Paris, where the European Commission organised a promotional event with the assistance of ARE, and its implementation was entrusted to the European Development Finance Institutions on this topic headed by the Entrepreneurial Development Bank of the Netherlands. To manage the ElectriFI funding, they set up the EDFI Management Company in Brussels. A major barrier to investments in access to energy in developing countries is the lack of access to seed, mid- and long-term capital. In immature market conditions, this is aggravated by the reluctance of commercial banks to provide suitable lending that respond to the needs of investors and by the existing capacity limitations in terms of structuring and bringing projects to financial close. A support scheme that bridges the gaps in structuring and financing was therefore necessary to stimulate the private sector, to mobilise financiers and to have a catalytic impact on economic growth. ElectriFI can play this role and boost investments by making support available throughout the entire project cycle, from the project idea to its successful implementation and scaling up. ElectriFI will constitute a comprehensive and inclusive platform for investment support services, rendering due attention to bankability at very early stages, whilst facilitating access to senior debt at later stages. ElectriFI support will focus on investments increasing and/or improving access to affordable, reliable, sustainable and modern energy for populations living principally in rural, underserved areas all around the world as well as in regions affected by unreliable power supply. Priority will be given to investments having an important impact and added value in improving the life of women and girls, in promoting productive uses of energy and providing social services benefiting the bottom of the pyramid. Operations will be assessed against a set of criteria including: development impact, financial sustainability of the investments, additionally, neutrality and avoidance of market distortion, replicability and scaling-up potential and compliance with environmental, social and fiscal standards. With Euro 75 Mio. in the starting phase, the first round of invitation to submit project proposals will be followed by another round right after summer. Also ARE and its membership, who have played an important advisory role in the development phase of this promising initiative, is a recommended contact point to learn about engagement possibilities and to benefit from lessons learnt from already implemented decentralised renewable energy projects in low and medium income countries. Considering the needs of the partner countries for access to sustainable energy and the interest demonstrated by the private sector and financiers to partner and invest in electrification, EU support to ElectriFI could be further scaled up. Several global partners committed to SDG7 have also confirmed their intention to partner with ElectriFI. 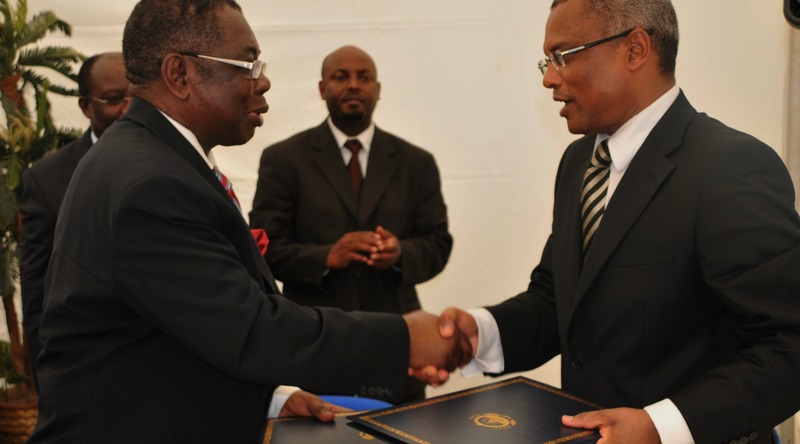 Most concrete already, the US Government, through its Power Africa initiative, has already confirmed her intention to contribute with support and funding. For the EDFI group, ElectriFI will be an example that can be taken to other sectors as well. Whether agriculture, health, forestry, in many sectors there is much need for high risk (not grant) funding to further support the private actors in the field. This will allow them to achieve the financial results required for their business cases, whilst also creating development impact across the different topics. Off Grid Reliable Power. Anywhere. As we all know, more than 1.1 billion people worldwide do not have access to electricity, with 80% of those people living in rural areas. To solve this energy access challenge, E.ON Off Grid Solutions (EOGS) provides containerised, decentralised and efficient Solar PV & Battery mini-grids for regions where basic services such as running water, lightning and cooling are basically non-existent. As we all know, more than 1.1 billion people worldwide do not have access to electricity, with 80% of those people living in rural areas. To solve this energy access challenge, E.ON Off Grid Solutions (EOGS) provides containerised, decentralised and efficient Solar PV & Battery mini-grids for regions where basic services such as running water, lightning and cooling are basically non-existent. By bringing electricity to those people, our goal is to substantially improve their standard of living and help them to become more economical active. Today, more than one year after the first pilot project in Komolo (Tanzania), our company has successfully installed and operates seven mini-grid solutions in various villages across Tanzania. Herewith, EOGS has already connected more than 250 households (> 1,000 customers) and many business clients. For these mini-grids, EOGS established a strong brand “Rafiki Power” (Swahili for “friendly power”) symbolising clean, reliable and affordable energy. With more projects under construction, we are continuously optimising our operating model and become more and more efficient. 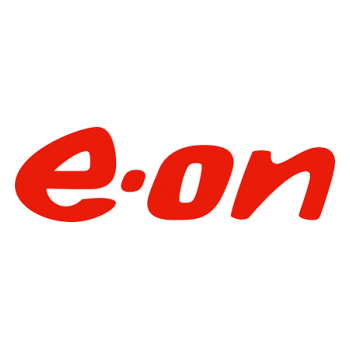 E.ON Off Grid Solutions was founded within E.ON’s internal start-up incubator in July 2013. Since then, the company has steadily grown and currently consists of more than 15 employees from seven different nations. In the near future, with more projects planned we are looking for corporate partners and investors who will join us in solving Africa’s energy access challenge and powering the world one village at a time. Benoolend links sustainable projects to responsible finance: the goal of our company is to bring together firms, institutions and individuals to co-invest in off-grid renewable energy projects with a measurable social impact while providing an acceptable financial return. Benoolend links sustainable projects to responsible finance: the goal of our company is to bring together firms, institutions and individuals to co-invest in off-grid renewable energy projects with a measurable social impact while providing an acceptable financial return. For that purpose, we facilitate project owners access to financing solutions for rural electrification projects. Benoolend offers financial services throughout the different milestones of a renewable energy project: financial structuration in development phase, fundraising for CAPEX investment and asset management in O&M phase. Benoolend is the only company offering a bottom-up vertically integrated financial approach throughout an off-grid project. We believe that the key factor is to be community-driven. We focus on understanding the « last mile financial needs » of energy consumers and their social networks. All our projects are built with the expertise of social entrepreneurs that have strong links with local communities. These social entrepreneurs are audited by Benoolend in order to measure their capacity to deploy long term projects with local communities, organise an inclusive governance and maximise the use of energy as a business enabler. Benoolend is deploying its model in Togo with one audited social entrepreneur: ETD (Entreprises Territoires et Développement). The project under development with ETD aims to electrify 85 villages in the prefecture of Haho. Those villages have been selected because they host groups of small producers called « tontines », organised into two cooperatives managed by ETD: Soja Nyo and Notsé Riz (rice and soya production). These cooperatives are partially owned by ETD and producers. These structures aim to develop family farming by promoting competitive and sustainable local food systems. Benoolend intends to use those stable networks and structures to implement a financially viable rural electrification project. Renewable energy and farming are a winning combination, there are strong links between energy and agriculture and the potential gains in agricultural productivity through the deployment of modern energy services are not being fully realised in Togo. Benoolend has developed with ETD a business model based in a rent-to-own of solar kiosks to a « tontine » that manages the kiosk and the revenues generated by various activities (phone charging, SHS sells, food storage, cold drinks, mobile payment services). The tontines are free to organise themselves in order to generate the revenues to pay the lease, thus the revenues are not only related to energy consumption. The project will concern two cooperatives with 126 group of « tontines » representing more than 1,600 producers in 85 villages. This project is a first step knowing that ETD monitors 51 cooperatives. The global installed capacity of renewable energy is rapidly expanding, however, renewable energy projects are often still hindered by difficulties in access to financing. This leads a large number of projects to stall or fail during the development stage. The global installed capacity of renewable energy is rapidly expanding, however, renewable energy projects are often still hindered by difficulties in access to financing. This leads a large number of projects to stall or fail during the development stage. According to a study conducted by The California Energy Commission, failure rates for renewable energy projects in the USA and some countries in Europe can be as high as 78%. When it comes to venture capital funds for renewable energy, it is not unusual to see deal closure-ratios on proposals as low as 5%. The main reason for these high failure rates is that project developers struggle to develop attractive project proposals that are capable of convincing banks of the viability of their project. Therefore, adequate project planning skills and guidelines are critical for the successful implementation of renewable energy projects. The Project Navigator is an online platform created by the International Renewable Energy Agency (IRENA). It addresses the challenges that project developers face in regards to project planning and financing. The Project Navigator guides project developers through each project stage by using project development guidelines, technical guidelines and tools. This allows them to create a comprehensive and bankable project proposal which can facilitate access to financing. The Project Navigator introduces the mini/micro grids technical concept guideline, detailing technical information on off-grid, mini-grid, resilient mini-grid and advanced mini-grid technologies. This technical concept guideline assists the project developer in achieving the optimal technical solution by considering three major components: site and resource assessment, technology assessment and logistics & construction. The guideline details checklists, tools and tips that help in targeting the most important factors for the successful implementation of a mini/micro grid project. Additionally, the IRENA Project Navigator offers the mini/micro grid financial tool, which supports project developers in evaluating the financial, sustainability and reliability impacts of their project. Suitable financing options (e.g. grants, debt instruments or equity) for mini/micro grids technology projects can also be identified in the Financial Navigator, another module of the IRENA Project Navigator Platform. These funding options can be screened according to technology, location and scale criteria. For solar systems, the call opened in September 2014. Companies importing and selling Lighting Global-certified solar products (picoPV and SHS) can participate in the programme. For the application, companies are requested to specify the type and target number of products to be sold over the following 12-month period, as well as to explain their marketing strategy, retail system, and warranty procedures. Over the contract period, companies can claim up to four times results based sales premiums, by providing detailed customer data for independent verification. Depending on the type of system sold, a predefined premium is disbursed (a list of premiums for all Lighting Global-certified products is part of the call). Applications are accepted on a rolling basis. So far, seven solar companies have been accepted in this programme. For mini-grids, a 1st call was published in November 2014. Companies can freely select their project location, supply technology and tariff model. Depending on the provided service level of the mini-grid, results based grant financing of up to 70% of the investment cost is offered, to be disbursed partially upon commissioning and over the first year of operation. In September 2015, a new regulation on mini-grids increased legal security. EnDev Rwanda launched a 2nd call ending on 31st of December 2015. Over a 3-month period, EnDev Rwanda also offered a series of 4-full day training workshops on developing technically, economically and financially sound project proposals, as well as individual coaching of project developers to overcome existing capacity constraints. So far, two companies qualified and signed RBF contracts: MeshPower, constructing 20 solar DC village grids; and ECOS, constructing an 11 kW hydropower village grid. Both companies started procurement of equipment and construction and plan commissioning in 2016. Challenges remain in the coordination with the existing grid extension programme, but the pending Rural Electrification Strategy includes a clear earmarking of on-grid areas targeted by the public grid extension programme EARP, and off-grid areas to be targeted by the private sector. EnDev Rwanda is planning for a 3rd call for proposals after the approval of the Rural Electrification Strategy, possibly by mid-May 2016. Hivos, the Ethiopian Ministry of Water, Irrigation and Electricity and SNV Netherlands Development Organisation organised a 3-day conference on biogas and clean cooking. Encouraged by the Africa Biogas Partnership Programme (ABPP), the use of household biogas and bioslurry has expanded across African countries and is becoming better known. This conference amongst others aimed to share knowledge, offer opportunities to become involved in market development programmes and improve implementation practice and speeding up market and sector development for biodigesters and other clean cooking solutions. Exchanges at the conference underlined that the potential for biogas is huge, not just for clean cooking but also for clean rural electrification. ARE Policy & Business Development Officer David Lecoque, participated in the conference as custodian of the Energy Access Workstream, which strives to support the Africa-EU Energy Partnership (AEEP) in reaching its energy access objectives. David presented the Energy Access Workstream and how to get engaged, as well as case studies and lessons learnt on bioenergy. The Forum was attended by more than 250 participants from the private sector, financiers and development partners. It opened with the keynote speech of Rachel Kyte, CEO of SE4All and Special Representative of the UN Secretary-General, appealing to investors and financiers to help de-risk, unlock and amplify investments in renewable off-grid projects and with the European Commission's announcement of the launch of ElectriFI’s first call for proposals on Friday, 15 April 2016. Building upon the strong foundation created by discussions and announcements of Day 1, the second day of the Forum, which was hosted by RECP, provided a structured platform for participants to come together to talk business. The structured B2B and matchmaking session in the afternoon featured about 180 parties engaged in more than 620 direct meetings. European Commission DG DEVCO (Multilateral & International Organisations). The Forum will build on the First Stakeholder meeting held in Cape Town, South Africa in 2012. It envisages participation of African and European Ministers, AU and EU Commissioners, and more than 300 other high-level participants representing policy-makers, regional institutions, international organisations, the banking & finance industry, the private sector, academia, the civil society and the media. The 2-day Forum will be split into a technical thematic stakeholder day and a second day dedicated to high level delegates and stakeholders. Modalities will include a mix of plenary and specially structured panel discussions, targeted networking and business matchmaking events as well as media campaigns. An exhibition and fair will be an integral part of the programme running through the entire week. Based on last year’s success and the positive feedback received from industry and governments, Intersolar Europe together with ARE, BSW-Solar and OTTI join forces again this year and invite you to the 2nd Off-Grid Power Forum. The Forum will serve as the meeting point for the global off-grid sector and scientifi­c community. This year, especially, the Off-Grid Power Forum benefits from the direct proximity to German ministries and IRENA. ARE is offering attractive rates for stand bookings and speaking slots. The deadline to book your company stand has been extended to 30 April. We are still accepting presentations from potential speakers notably on the topics of Water and Irrigation, Financing and Industrial and Mining Systems. The deadline to submit your presentation proposal is 30 April. Kindly return the completed application form to Ling Ng with Ahmad Sandid in copy by 30 April. The Finance Facilitator (FF) is an advisory platform implemented by RECP that will support meso-scale renewable energy project preparation in Sub-Saharan Africa. It enhances project quality and makes connections between project developers seeking financing and financiers seeking viable projects. b) By linking project developers with financiers. The report found that the World Bank, African Development Bank, Asian Development Bank and Inter-American Development Bank are all failing on energy access, with three banks receiving a worse score relative to that from 2014. When off-grid and mini-grid spending was taken as a percentage of a bank's overall energy portfolio expenditure, the highest amount spent by any bank was 2%, the lowest 0.5. In 2011, the IEA modelled an ‘Energy for All' scenario which saw 64% of additional investment spent on off-grid and mini-grid energy solutions. The report was launched at the World Bank Spring Meetings in Washington DC. The Power for All campaign also launched a Call to Action at the Spring Meetings urging MDBs to accelerate energy access. The Call to Action was accompanied by a petition and activity on social media using the hashtag #endenergypovertyfaster. Please join ARE in signing the petition and supporting this Call to Action. Have an article to propose ? Feel free to contact our Communication & Marketing Department.